Retro Drive-in Movies in association with Dublin Port Riverfest are delighted to present Ireland's Biggest Drive-in Movie Event of 2017. 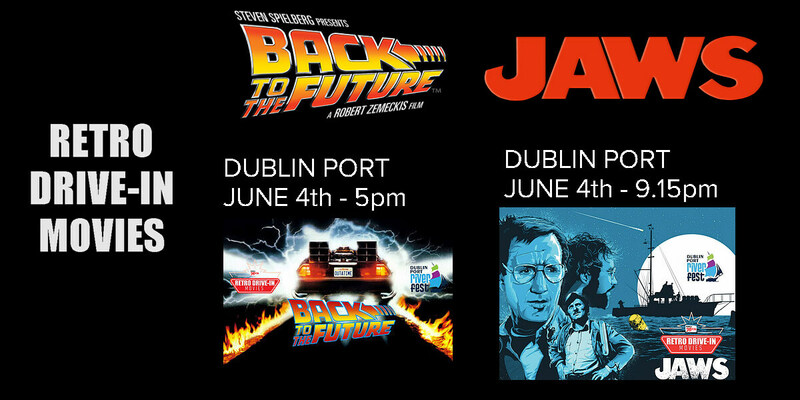 Experience the iconic Steven Spielberg classics Jaws & Back To The Future on The World's Biggest Outdoor LED Screen in the nautical surroundings of Dublin Port. We'll also have our World Famous Burgers, Hot Dogs, Pizza and Popcorn – all from the comfort of your car. The sound from the movie will be broadcast in crystal clear stereo via your FM Radio.